Get control of their cashflow, get out of debt & make more money! Learn how to become financially secure and free of a job for everI usually do that via The Money Gym, my speaking engagements or my Internet Marketing Mentoring Programme. I now own & run a digital marketing agency which specialises in personal and business branding on social media and we also mentor business owners who want to learn to DIY. When I originally wrote this book I was working alone, but at the time of writing the second version of this book in 2010, I had two partners in The Money Gym, Judith Morgan, one of our original clients, and Steve Watson, a brilliant chef turned brilliant web designer, and who I met when he used to run my favourite restaurant and then my boutique hotel (you’ll hear more about the hotel as we go along). Steve sadly died very suddenly of a heart attack on 12 March 2016 and I miss him terribly but I still co-host a podcast called “Own It!” with Judith. 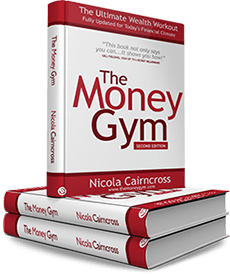 For many people who have read this book, joined our community, enjoyed coaching with us, or come along to our events, The Money Gym has quite literally changed their lives. It’s changed mine, beyond all recognition. But why should you listen to me about wealth creation at all? As we go through this book you will find out a bit more about my journey from that 38 year old, unable to pay the rent, with two small children and a husband who had just been made redundant. I was once one of those serial employees/ entrepreneurs, jumping from dead end job to failed business, back to another dead end job, always madly busy making money for other people but not quite getting there for myself. Since then I have owned a boutique hotel on the Sussex coast which I bought ‘no money down’ (and I don’t recommend you try that one at home children! ), I had a music industry internet company ArtistManager that made me money while I sleep, I’m a property investor (having learned how to buy UK houses for £1) and as I say, I now 100% own the Money Gym and Clicks & Leads and spend most of my days living in Greece, writing, speaking on wealth creation, business success, internet marketing and entrepreneurship while continually nurturing and adding to the community of wonderful people around us. But most of all, I can choose my working hours and have time to enjoy my children (usually taking most of the school holidays off!). I am totally dedicated to enabling other people to undergo the same transformation I went through, by working through this book and getting support from our Money Gym community. I can teach you – in a fun, easy way – the things I have learned, and support you to make the changes that will transform your financial life. Whatever your financial goals, this book will enable you to learn all the things you were never taught at school and create an effective way for you to become financially free. This book came about because I wanted to reach more people with the knowledge we share in The Money Gym. While no book can entirely replace the interactive approach of coaching nor the sense of community of my programmes, it will give you a solid grounding in everything you need to know to develop greater financial intelligence. It could even make you rich – if that’s what you want. Many people who have read this book have emailed me their stories and I love to hear from readers. 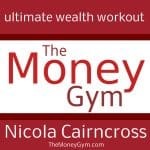 You can come along and join us, commenting on any aspect of wealth creation on our blog at www.TheMoneyGym.com/blog. I was originally going to call this book ‘Running On Empty’. For a while I thought that would make a great title because I realised a while ago, when people are operating out of a scarcity mentality, as I did for years, they think that by delaying filling up their car with petrol, they will be saving themselves money. Not true of course, you use as much petrol as you use, and all you are achieving is stress, worrying about whether your car is going to run out of petrol and stop working. All that energy wasted! Try filling up when you are half full, (not half empty – note!) rather than when you are on the red line. It will make a difference in your life and the way you think, I guarantee it! Then I realised that it was just too negative. And while I’m a realist, I do believe amazing things can happen when you change your mindset from ‘glass half empty’ to ‘glass half full’. So my great title had to go, and I chose something that said what it does on the tin. 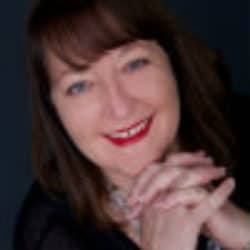 I’m a great believer in calling your business something that says what it does on the tin as you will find out in the internet marketing chapter ‘Profit From Your Passion’. This is a personal workout programme that will build your financial fitness by encouraging you to take action, make things happen and test what I’m sharing first hand. I like to keep things down to earth and practical. That way you’ll be able to sort your finances out, once and for all. I have read all the business and wealth creation books out there, and I still do, and I’ve pulled out all the good stuff, put it to the test and I only share the ‘wisdom that works’ in this book. I’ve read all this stuff so you don’t have to – but I would still recommend you do, however! You will find my recommended reading list at the end of this book. I really hope you enjoy it and that things get as good as they can be for you as a result! I would love to know how you get on so feel free to email me at nicola [at] nicolacairncross.com. I always found that I loved to read ‘self–help’ books but the minute I started to do the exercises, make notes in the margins, and underline things, my life started to change. It’s totally unrecognisable now. So to make the most of this book, as you read each chapter, make notes of your desired personal action steps in the spaces provided. I want to also encourage you to create a ‘Desired Outcome’ sheet for you to fill in before you go any further. Make a copy and take two minutes to fill it in. It should evolve as you work through the book so remember to keep it updated! Do all this, work through the next nine modules, take some action and your financial life will begin to change for the better.